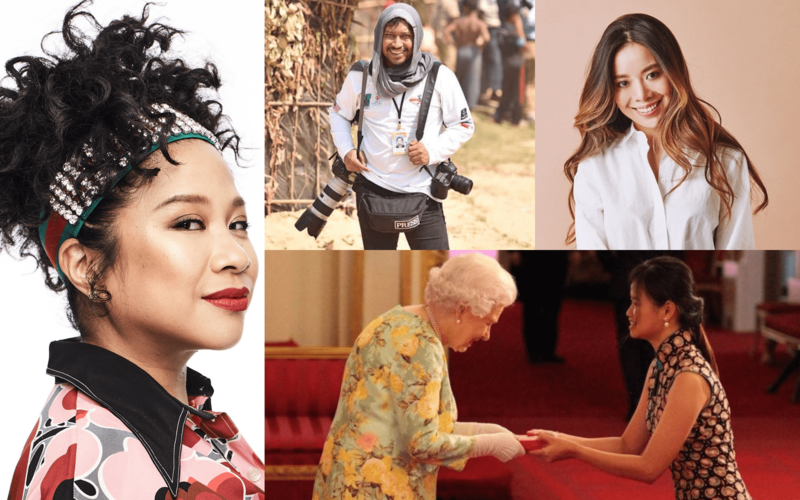 Award-winning scientists, sushi chefs, eco-warriors and more: these 10 inspiring individuals have truly stood out for their impact in the international scene by dreaming big and working hard. Here’s how they’ve made us proud in 2018. While many of us may know very little about the Marie Sklodowska-Curie Award, this is a story that will fix that: in June 2018, Universiti Malaya senior professor Prof Dr. Ng Kwan Hoong became the first scientist from the developing world to receive this prestigious international award for his research contributions in breast cancer detection. Presented by the International Organisation for Medical Physics in the UK, this award has been consistently given to scientists from developed countries for the last 14 years. So committed is Prof Ng to improving the teaching of medical physics (still a relatively new field in Malaysia) in the region, that he founded the Asean College of Medical Physics. Chef Sky made the headlines last year as the winner of the World Sushi Cup 2018, an annual competition in Japan open to non-Japanese chefs. From maki rolls made with otak-otak, century egg and ikan bilis, the Johor native and head sushi chef of Singapore’s Standing Sushi Bar continues to impress with his innovative techniques and extensive sushi-making experience, aspiring to set up his own restaurant in Kuala Lumpur one day. US-based Malaysian entrepreneur Kimberley Ho earned herself a spot in this year’s Forbes 30 under 30 list in the retail and e-commerce category. The former Wall Street investment banker founded Evereden, a non-toxic skincare line for kids. After launching her company in March 2018, Kimberley raised USD$2 million. Here’s the clincher: Evereden products have even gained a nod of approval from Bobbi Brown, Vogue and other notable industry names. Honoured for her contributions in human rights and governance, Dato' Ambiga Sreenevasan earned a special stamp of approval from the United Nations in Malaysia. The former president of the Malaysian Bar Council and former Bersih chief received the 2018 United Nations Award hailing her efforts in bringing the nation closer to achieving the Sustainable Development Goals (SDGs) outlined in the UN’s 2030 Agenda for Sustainable Development. Is there any heart that Sarawak-born songstress Zee Avi can’t win? With her silky vocals and flair for song-writing, Zee has captured the admiration of not only her substantial social media following but also the organisers of the Top Asia Corporate Ball in 2018, where she was presented the International Young Artiste Award, given in honour of outstanding Asian personalities. The founder and president of Limkokwing University of Creative Technology can add yet another accomplishment to his growing list: he’s the first Asian to receive the Legend in Innovation Award by the World Confederation of Businesses, an international organisation that also conferred on Limkokwing University the prestigious Diamond Award, making it the first Asian university to receive one. This 26-year-old earned her special claim to fame last year at Buckingham Palace where she travelled to receive the Queen’s Young Leaders Award for her eco-friendly enterprise, Greenyards. Potentially reducing river pollution caused by improper disposal of oils, Wen Shin's business focuses on collecting used cooking oil from restaurants and houses and recycling it into soap and candles. Read more about her over here. An electrical power engineering student, Selangor-born Siva Nagappan helped develop a linear water storage system for his school that could store rainwater in substantially less space than typically required. He also co-founded Project Paplet, an initiative that’s saved approximately 4.5 tonnes of paper simply by recycling half-used sheets of paper into booklets (which are donated to refugee schools across the country.) For this, he also received the Queen's Young Leaders Award in 2018. One look at the riveting portfolio of this freelance international photojournalist and you’ll see that he means business: his photography has been featured in renowned publications like Time magazine, the Wall Street Journal, The Guardian and several others around the globe. In 2018, Samsul bagged the first prize at the Sony World Photography Awards in London for his series Life Inside the Refugee Camp, in the Professional Current Affairs & News category. Bravo, Sam! Females in finance are not as few and far in between as we may think, and Datuk Nor Shamsiah’s achievements as Bank Negara Governor are proof of this. Earlier this month, Datuk Nor Shamsiah was named the Central Banker of the Year Asia-Pacific 2019 by the UK-based financial publication, The Banker. This award honours officials who have contributed to the growth and stability of their country’s economies.